In honor of the 146th anniversary of the Battle of Brandy Station, I decided to post this little known letter from one of the Regular participants. 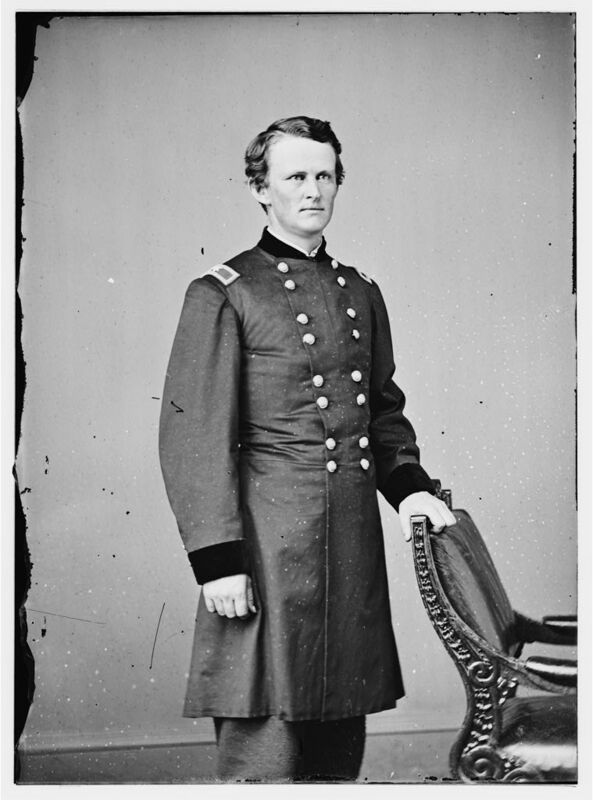 Lieutenant Christian Balder of the 6th U.S. Cavalry fought with the Reserve Brigade on the Beverly Ford side of the battle. 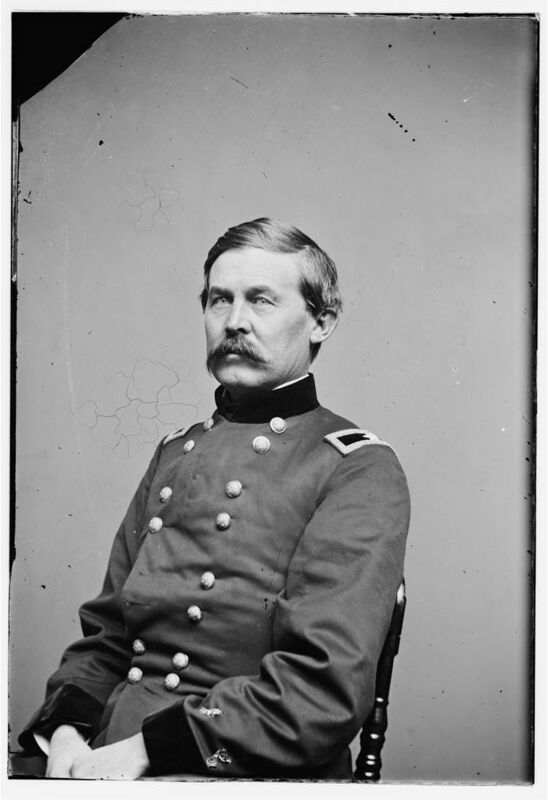 After reading the letter several times, I still don’t know why he’s so upset with the 6th Pennsylvania cavalry, save perhaps that they received more honors in the newspapers. Lieutenant Balder would be killed just a few weeks later on July 3rd, at the battle of Fairfield, where his friend Lieutenant Paulding was captured. Camp 6th Cavalry Near Catletts Station, Va.
As I have today a few moments to spare, I will drop you a few lines. You have undoubtedly read in the Chronicle of yesterday the account of our fight with the rebs. Don’t believe the half of it. I for one will never believe newspaper accounts for they are all stating falsehoods either directly or indirectly. It appears from the Chronicle that the 6th Pa. supported by the 6th Regulars done all the hard licks, when the Pa.s “god save mark” ran like sheep. I will try to give you an account of as much as came under my observation. Col. Davis’s Brig. went over the river first. They had little difficulty in crossing, because the rebs were a little surprised and did not expect us. Davis drove them slowly but poor fellow, he was nearly one of the first who were killed. The rebs contested every inch of ground manfully, and the fight grew beautifully larger & larger. The Reserve Brig. And Elders Battery had a position in an open field with thick heavy woods to our front and left, and being subjected to a heavy fire from a hill to our right and front. That hill should have been occupied by us, and we could have gotten it very early in the day but “somebody” thought it was of no consequence. We remained in this field till after 12. Elders Battery fireing but little. In coming from water with Co. F. Priv. Viall had the top of his head carried away by a round shot from a battery on the hill above alluded to. He died instantly. Finally we were ordered to advance through the woods to our front. Brisbine & Claflin’s Squadron having been sent to some other point we had only four squadrons remaining. The 2d. Cav. took the lead, then followed the 6th Pa. then our Regt. I being Off. Of Day brought up the rear with 15 men of the guard. The 1st Cav. Did not cross the river till late in the afternoon. The 5th was on some other part of the field. We advanced through the woods in column of squadrons. When I got half ways through the woods. I heard cheering & shouting as if the infernals had broke loose from the lower regions. Now, thinks I, my bravy Mackerals are giving it to the rebs. On emerging from the woods I saw about one Regt. Of Cav. I thought they were our men, for they were dressed the same. They soon thought me different, however, when they commenced firing at me and my brave Mackerals, and then they made several attempts to but did not do it. I looked in vain for the 2d, 6th Pa. and ours, but they had commenced a hurried advance towards Washington. The 6th Pa. had indeed made a charge, so I heard but a great many jumped into a ditch, got stuck and were taken prisoners. Why the 2d & 6th Regulars run is impossible for me to say, and I think it is a great shame. On my retreating in the woods I seen cavalries without hats, scratched noses, and the axes of our pioneers bumping against their backs like forty. The rebs were shelling the woods all the time and Madden was wounded by a shell, not dangerous, and he is now in Washington doing well. Kerin was taken prisoner. On arriving again in our first field, I found the 6th had partially rallied and I went to my squadron. What little accidents occurred from then to about 2 O’clock is not worth mentioning. We were continually skirmishing and having little charges repeatedly with more or less success. The rebs fought bravely. At one place the 2d had about 1 good squadron charging a host of rebs, driven them for a while and then the rebs driving them. Brisbine having by this time joined, he and Wade tried them with their squadrons, but with little better success. I and Ward went in next, drove the rebs from the place, then they drove us back. We rallied drove them again to near the edge of a wood, they firing a shower of bullets at us and we at them, being only about 30 yards apart. My mare was hit through her hind leg, but not hurt her much. My blood got up. I wanted my squadron to charge with me. Ward & Tupper done the same, but could not get those cowboys to come on. They all fight very well with the carbine & Pistol, but have no confidence in the sabre. I was in front of the squadron, waving my sabre, and entreating and cursing them alternately, trying to get them on, when all of a sudden, a rebel officer came dashing at me, at full speed, making a tremendous right cut at me, but fortunately, I just perceived him in the nick of time. I parried his cut successfully and striking his sabre clean out of his hand. He fled by me, and one of my men shot him through the heart. We stood fully 15 or 20 minutes opposite each other, the rebs afraid to charge, and only firing at us. I then seen about a regiment of rebs coming through a field on our right and I thought it time to retire. But poor Ward had been killed. He worked like a Trojan to get his men to go in with the sabre, but could not succeed. About half an hour after that Stoll was killed while skirmishing with a part of that Regt. I had seen coming on my right. So you see we lost about 1/3 of our officers in killed, wounded & missing. Out of about 280 men, we lost about 50. I never gave the rebs so much credit before, but I must now say, they go in with a will. Is it not strange now that the papers never say anything about the 2d and 6th who fought fine in the afternoon, no matter, what they done in the morning. Their list of killed & wounded speak for themselves. My Dear Paulding, I must now stop. Write to me soon. My love to Nichols.